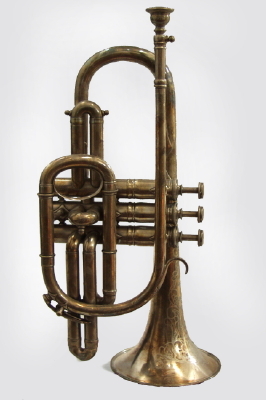 Besson & Co. Brevete "Prototype" Model Trumpet, made in London, England, serial # 92721. Overall length is 14 1/2 in. (36.8 cm. ), 4 11/16 in. (11.9 cm.) diameter of bell. Excellent Condition.